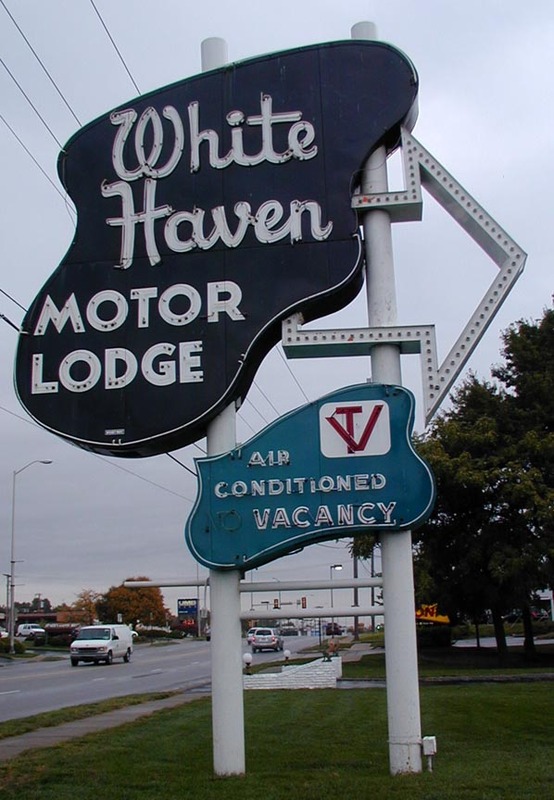 The White Haven Motor Lodge was built in 1957. 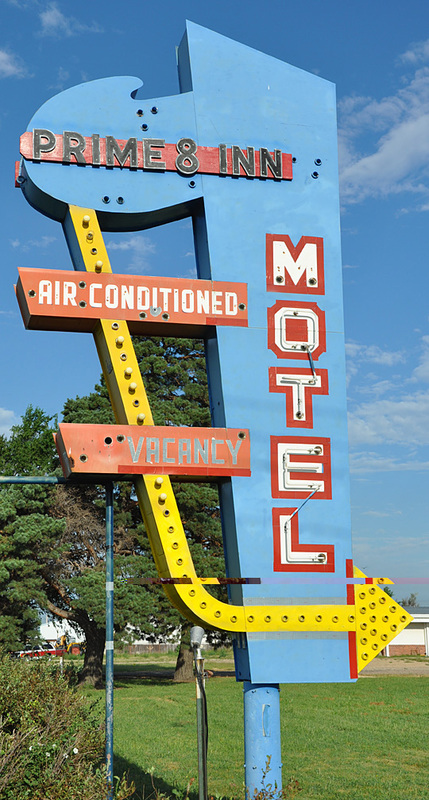 The 35 foot tall sign was built for $4,000 when the motel opened. 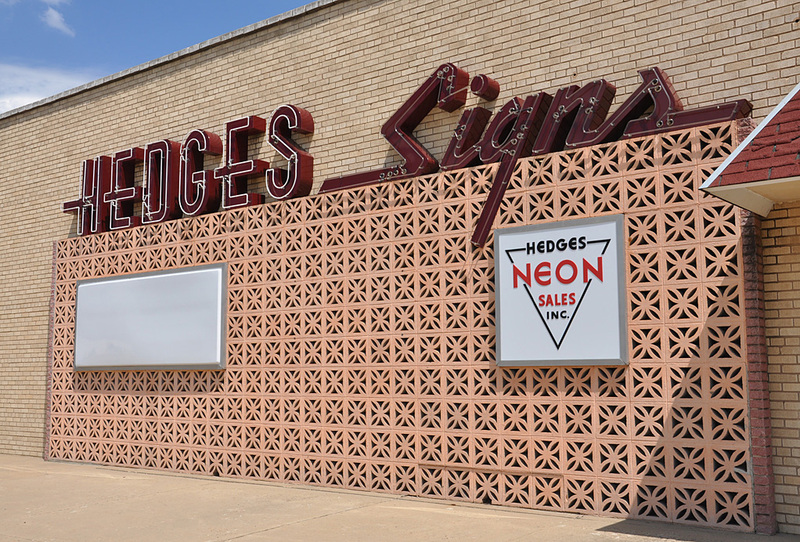 The owners picked out the design from photos at the sign shop. The original paint scheme is intact. 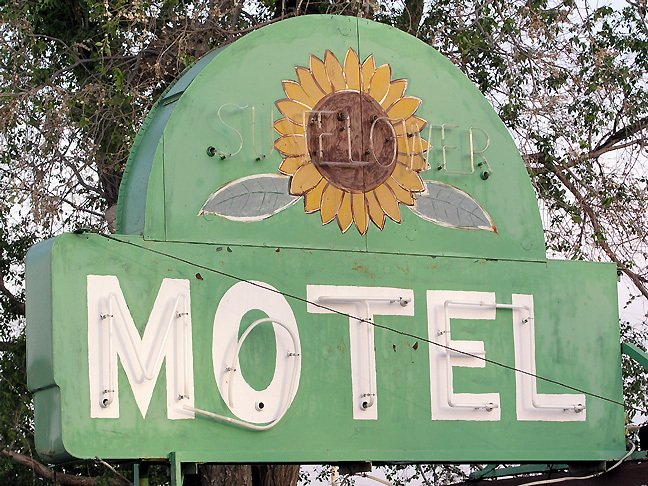 The motel closed in 2010. 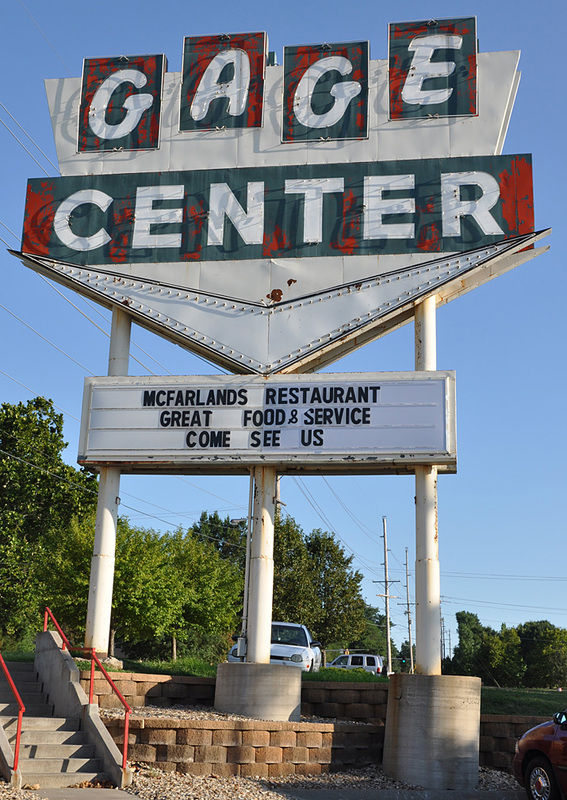 The sign was purchased the the Johnson County Museum in Shawnee, KS. 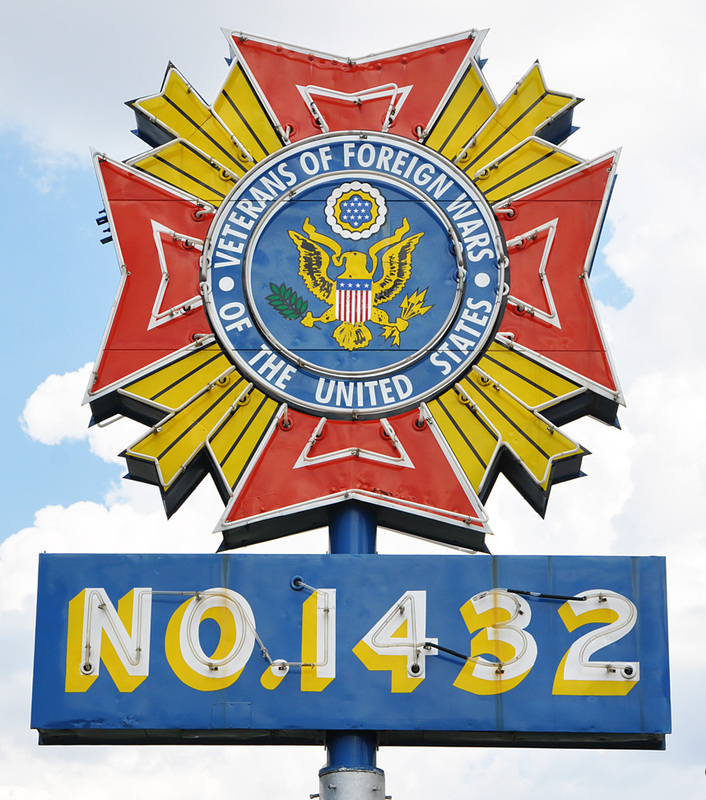 It was restored and is now displayed inside the museum. For more, see these websites: 1 and 2. 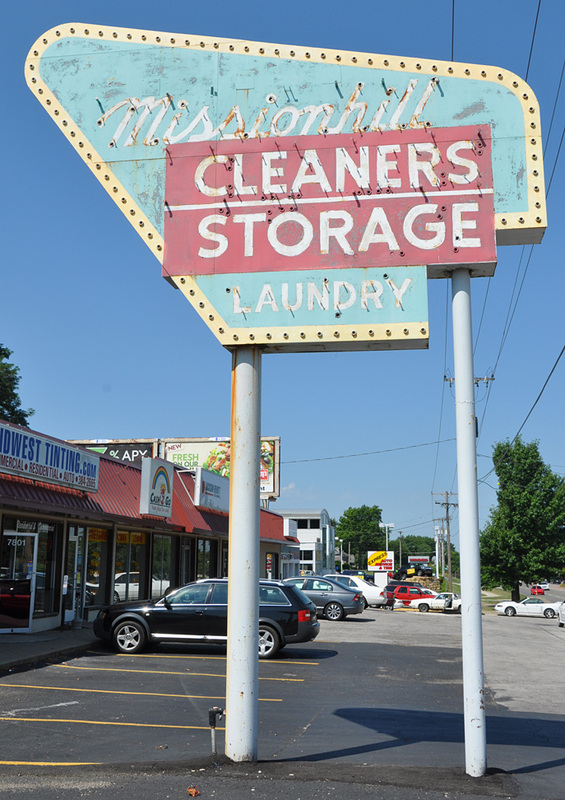 Sometime after 2001, the Mission Hill Cleaners sign was repainted and the neon was removed. 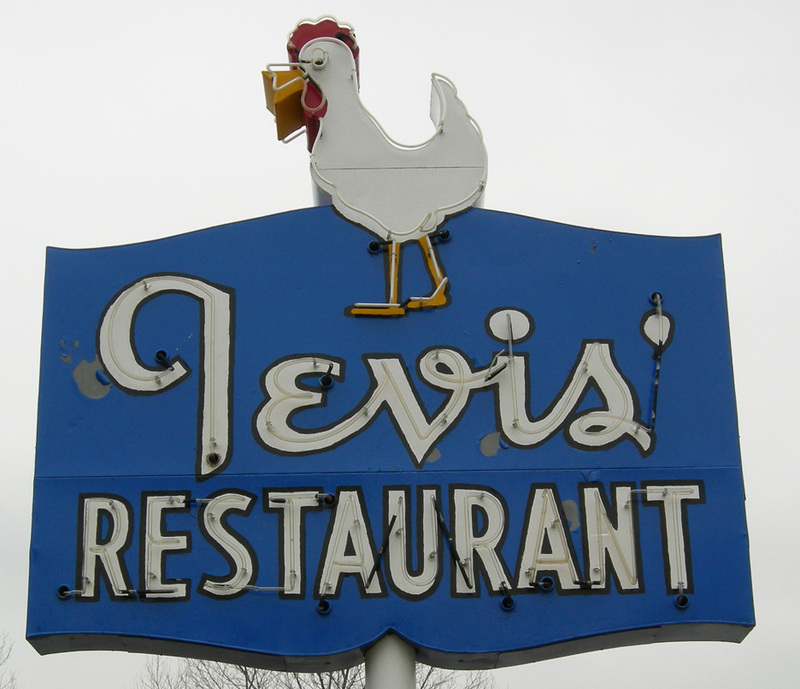 The sign is probably from the 1950s. 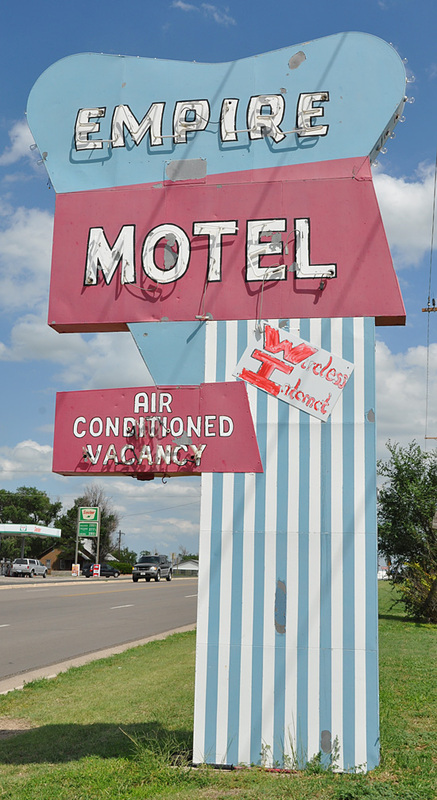 This photo is from 2010. 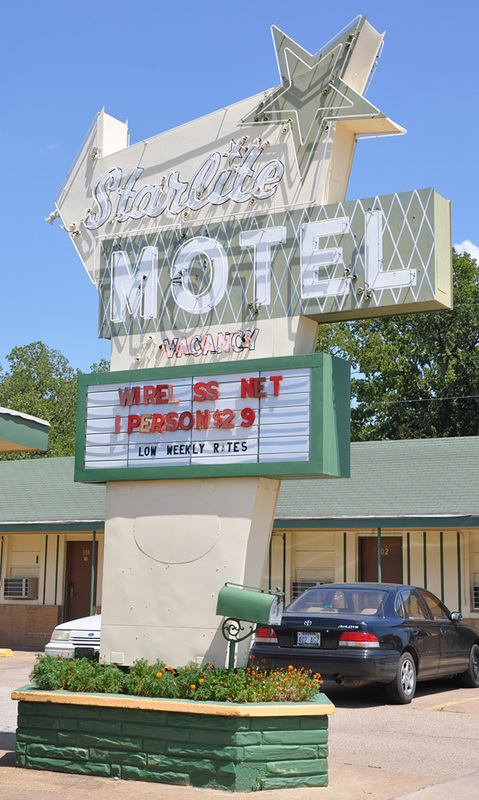 The sign was removed around 2018. For more, see this website. 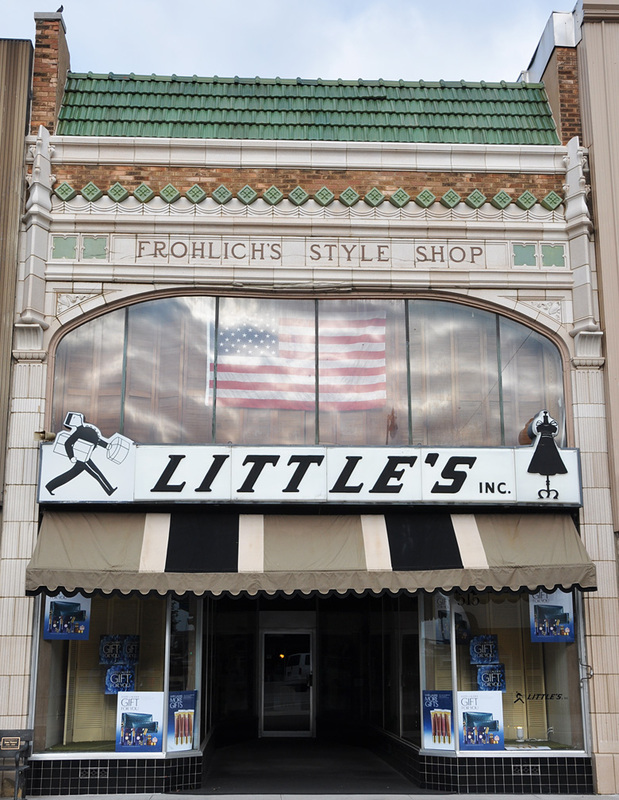 Little's Inc. was a women's clothing store. 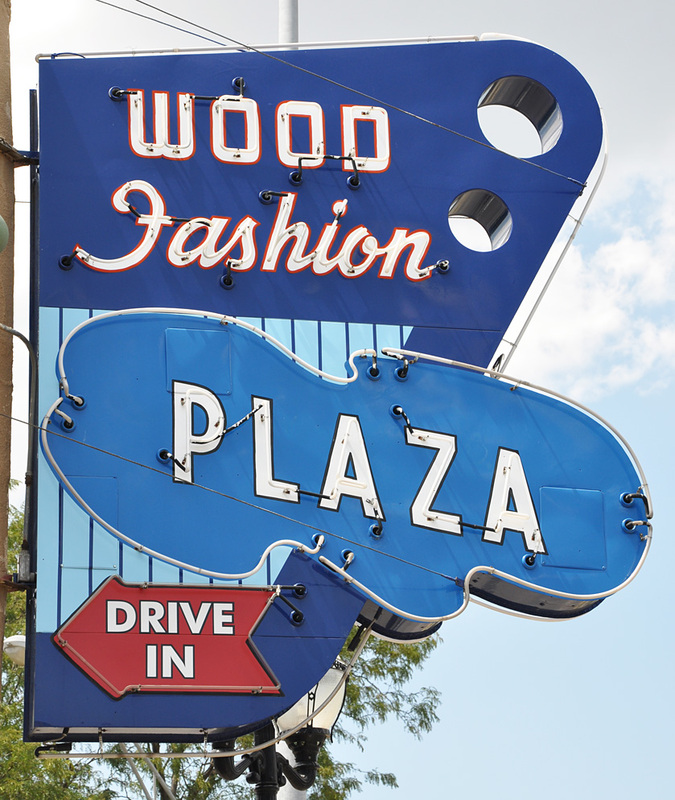 It opened at this location in 1955. This photo is from 2010. 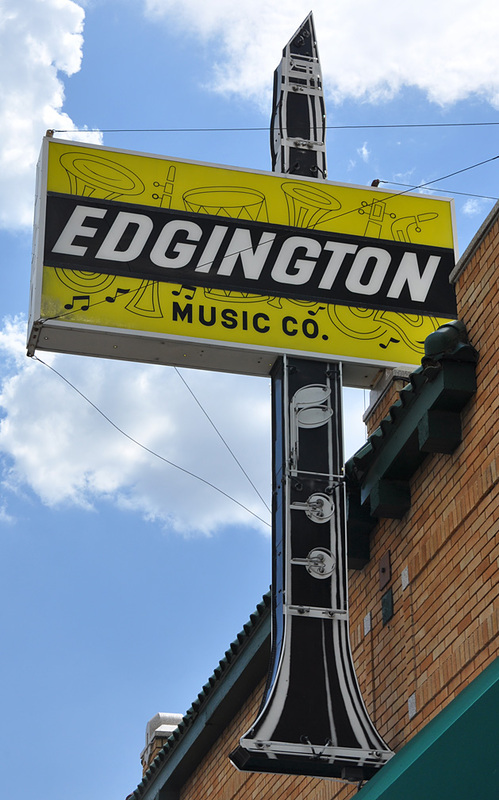 The shop closed in 2013. 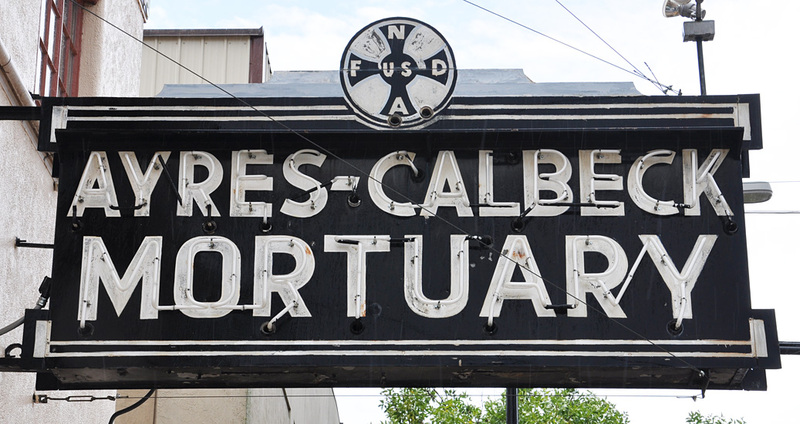 The sign was gone by 2014 and the building was housing a law office. 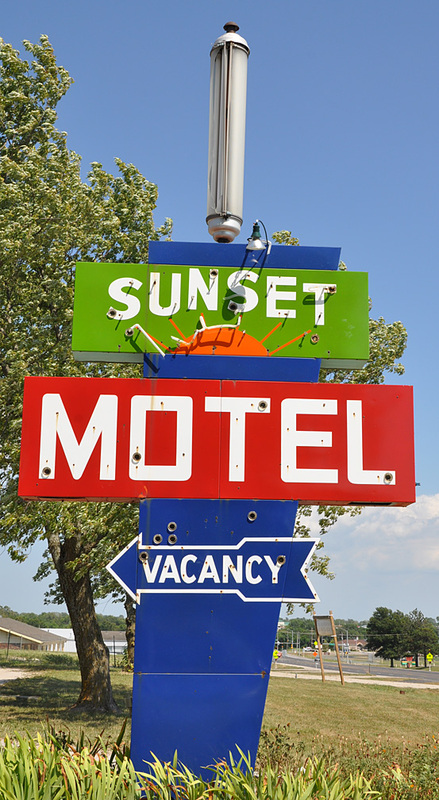 The Sunset Motel sign was probably from the 1950s. 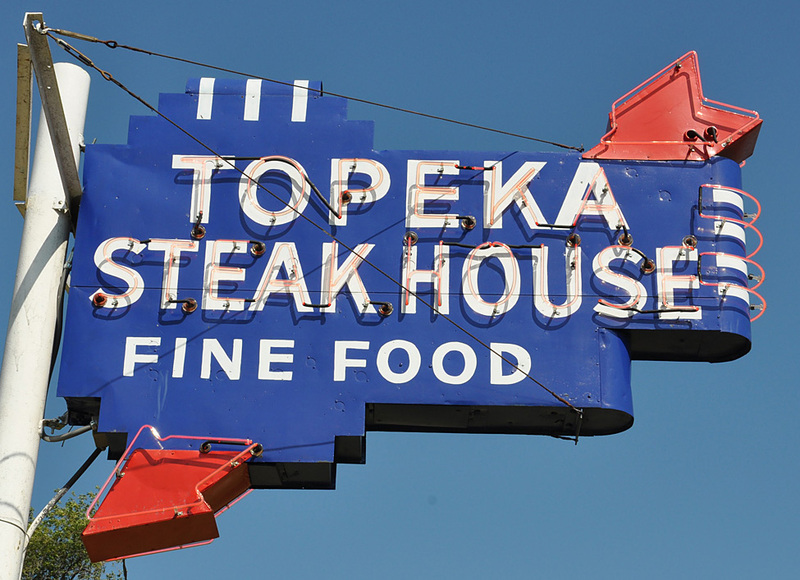 I don't know if the light at the top was original or if this sign was missing a piece. 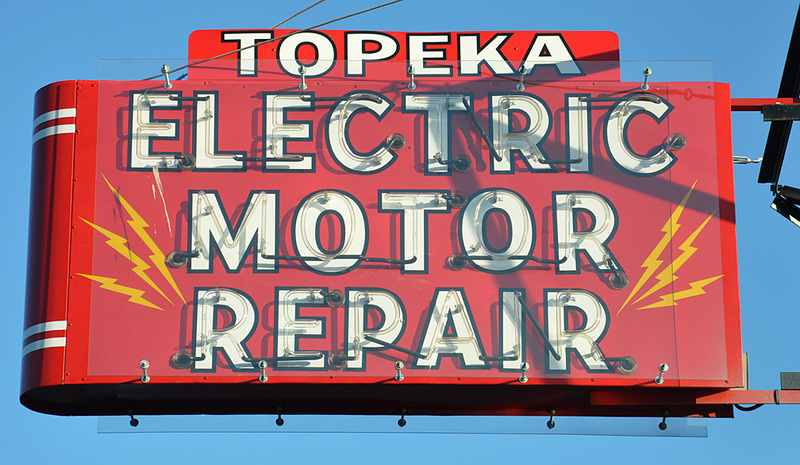 The neon was missing but the porcelain enamel colors had held up well. 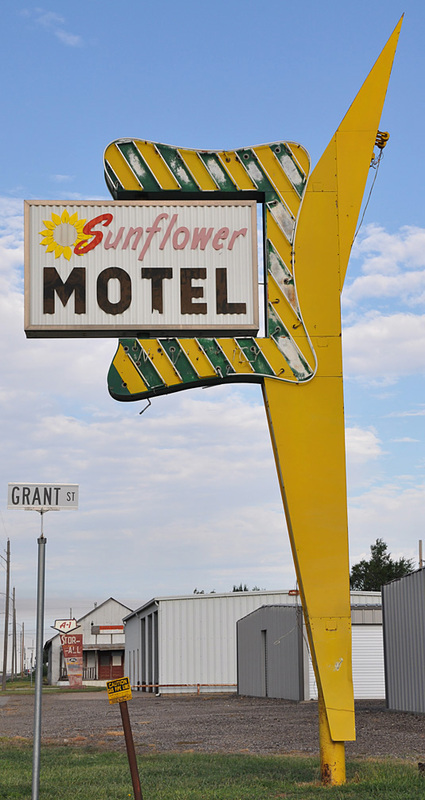 The sign and the motel itself were gone by 2018. 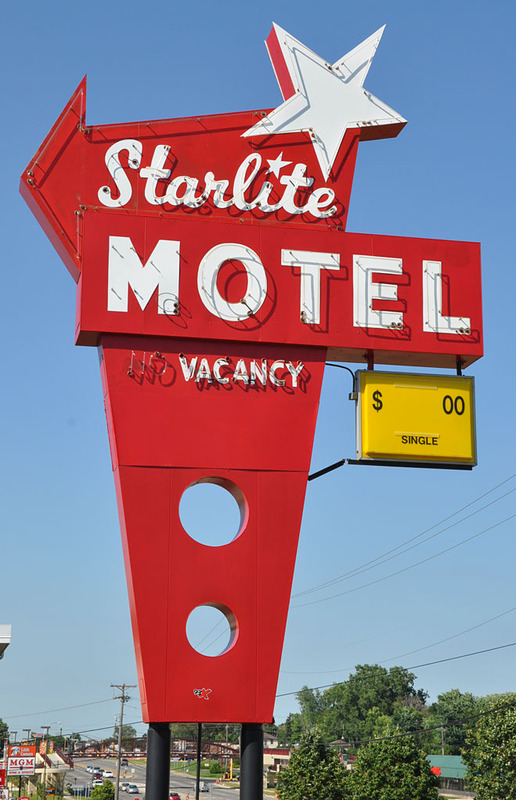 The Pointer Apartments sign originally had neon and advertised for the Pointer Motel. 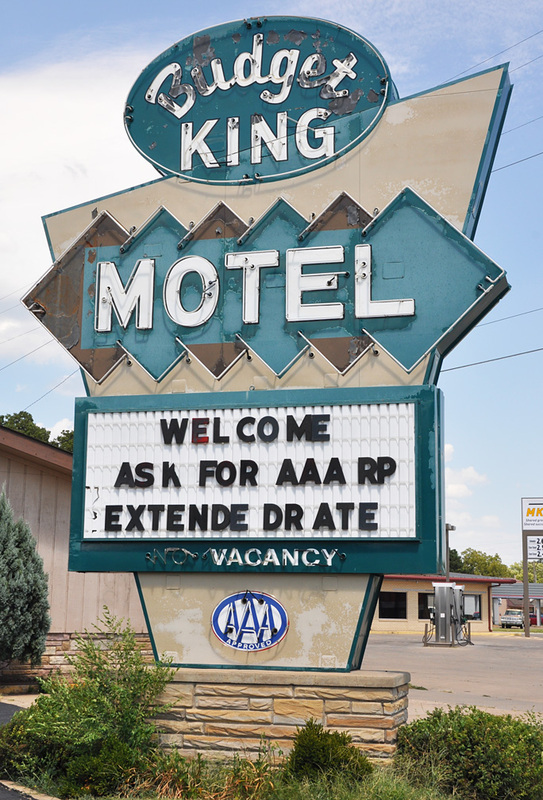 This sign has been there since at least 1956. This photo is from 2010. 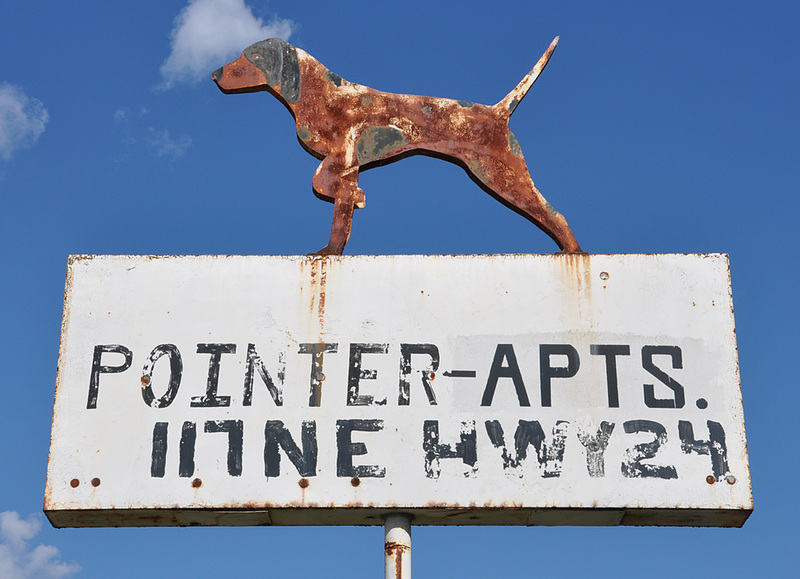 By 2013, the dog on top of the sign was gone. Gage Center Bowl opened in 1960 and Gage Bowl North opened in 1961. 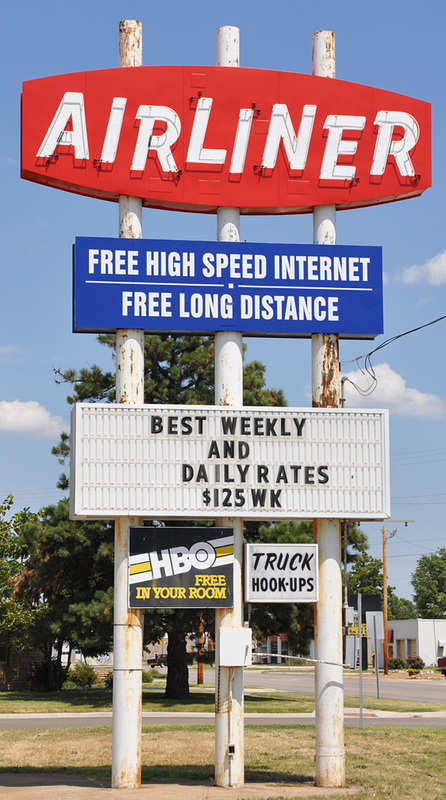 Both locations had the same signs. Gage Center Bowl has a folded plate canopy of the entrance. 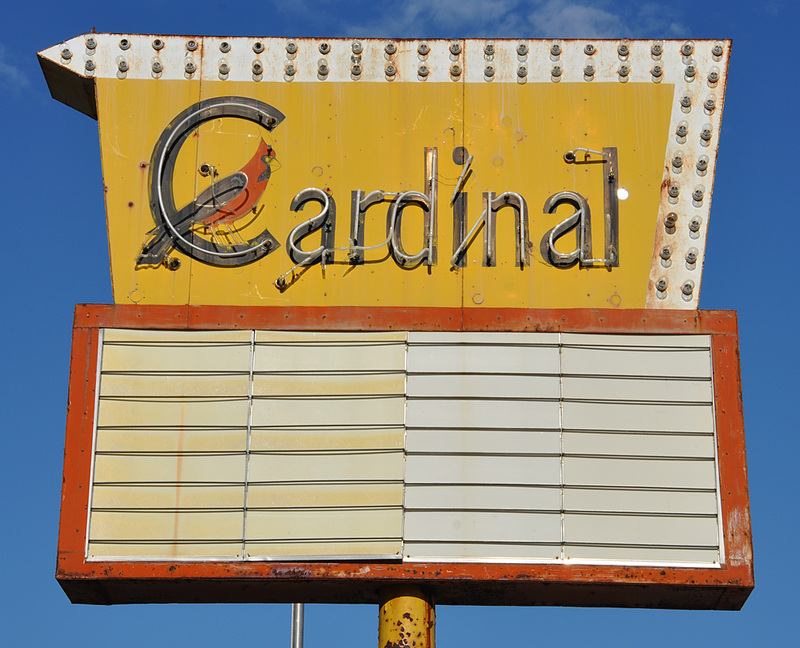 Gage Bowl North closed in 2011. 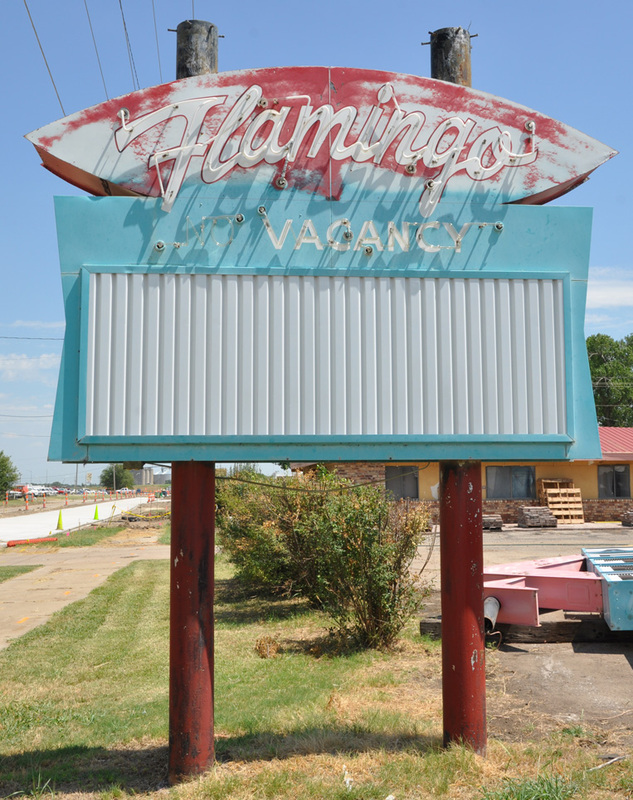 By 2014, the sign on the building had been removed and the pole sign was covered up. 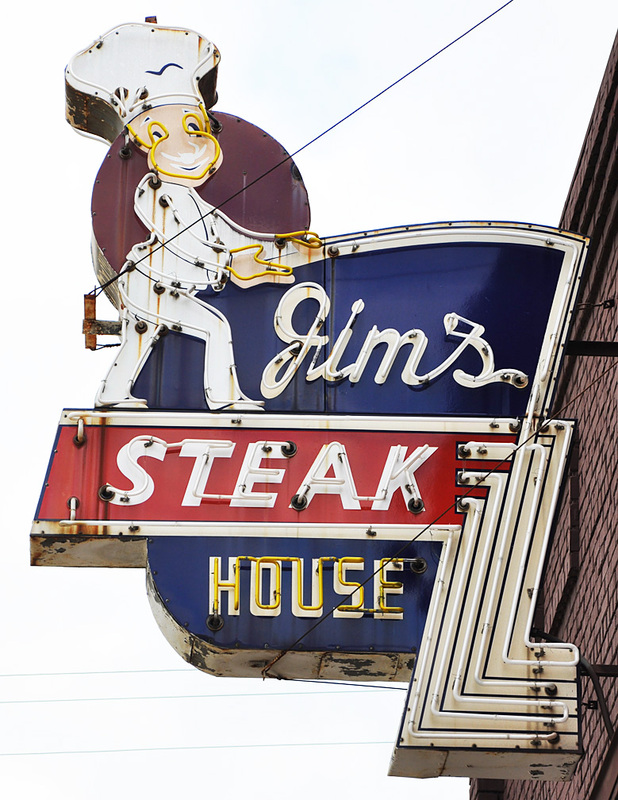 The owner plans to use the building for restaurant and/or retail space. 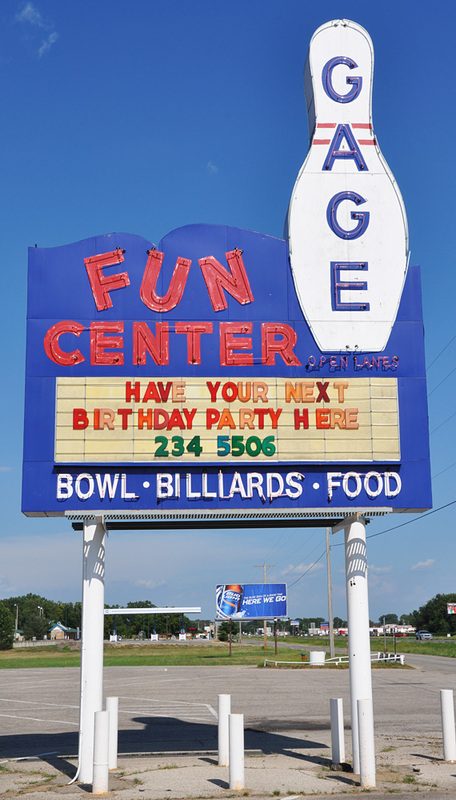 The Gage Center Bowl signs were refurbished in 2014. For more, see these websites: 1, 2, and 3.